Unfortunately, with any disaster comes victims. Many of those victims are in need of medical care that can only be given at a hospital. 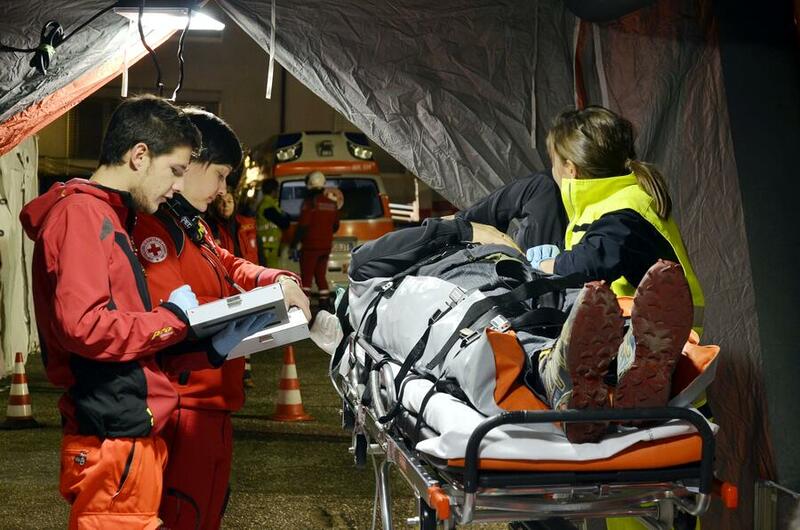 Since disasters are often regional or even local, a sudden influx of victims needing medical attention can strain the capacity of the nearest hospitals. Correspondingly, quick discharge or transfer to other hospitals to alleviate the influx is not a given and in some cases can be impossible. Hospitals need to be ready and able to handle both this sudden influx and maintaining care until other preparations can be made. Electricity, water, sewage, communication: these are all utilities we take for granted on a day-to-day basis. Hospitals depend on all of these utilities to function. Without electricity, much of a hospital's equipment including X-ray machines, dialysis machines and even elevators become useless. Without a working sewage system, toilets do not work and linens can’t be cleaned and disinfected. The lack of communication can also wreak havoc on a hospital that is over capacity and is in need of assistance. In a disaster, one or all of these utilities can be disrupted for any number of reasons and for an undetermined amount of time. Hospitals are not immune to the destructive force of a disaster such as an earthquake or flood. Many times, critical buildings or sections of the hospital are rendered unusable by damage. This creates the need for a triage either outside the hospital or at a nearby location, but relocating an entire hospital or even a section is a tall order as much of the day-to-day lifesaving equipment is built into the hospital or is too large to move. Normal deliveries can’t be counted on during a disaster, and many reasons can contribute to why a truck caring needed essentials would not be able to make it to the hospital in a timely manner. In these situations, hospitals can quickly run out of things such as common medicines, linens, toiletries, and many other essentials. Regulations state that hospitals must have enough supplies on hand to survive autonomously for 72 hours. Three days may not seem like a long time, but keep in mind that the hospital will already be understaffed and over capacity during a disaster. Hopefully this article has been thought provoking and useful. Many disasters aren’t preventable but with the proper preparation, obstacles can be overcome and damages diminished. Sam W. Say has been Inside Sales Manager for SSCOR for the past 2.5 years. Before that he spent time in SSCOR’s Quality department as the Quality Specialist. He is passionate about providing solutions to caregivers while arming them with the best information possible.